New York: Funk & Wagnalls Company, 1922. First edition of this seminal work in etiquette and personal relations. Octavo, original blue cloth with titles to the spine and front panel in gilt. In near fine condition with some light rubbing to the spine extremities. Housed in a custom half morocco clamshell box. 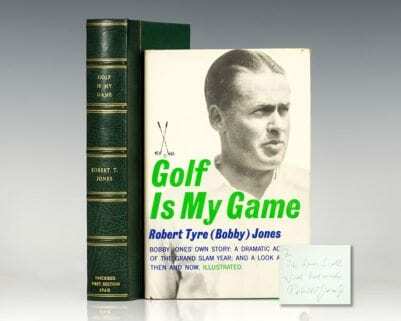 A very sharp example of this rare first edition. Etiquette is a seminal work in personal relations that ranges from topics on how to conduct oneself when meeting strangers to how one should behave at formal dinners and engagements. It has pioneered many social networking concepts, granting Post a name synonymous with proper etiquette and manners that is referenced in etiquette books even today. Joan Didion, contemporary author of The Year of Magical Thinking, considered Post's entry on funerals a source of great consolation after the passing of her husband (Campbell, 2005). The recent publication of Post's first full-length biography suggests that her legacy is pertinent more now than ever (Claridge, 2008). First edition of this seminal work in etiquette and personal relations. Octavo, original blue cloth with titles to the spine and front panel in gilt. 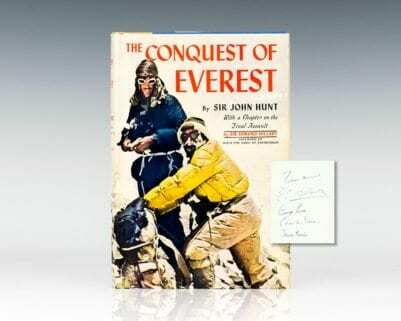 Near fine in a near fine dust jacket with the lightest of rubbing. A very nice example, uncommon in this condition. 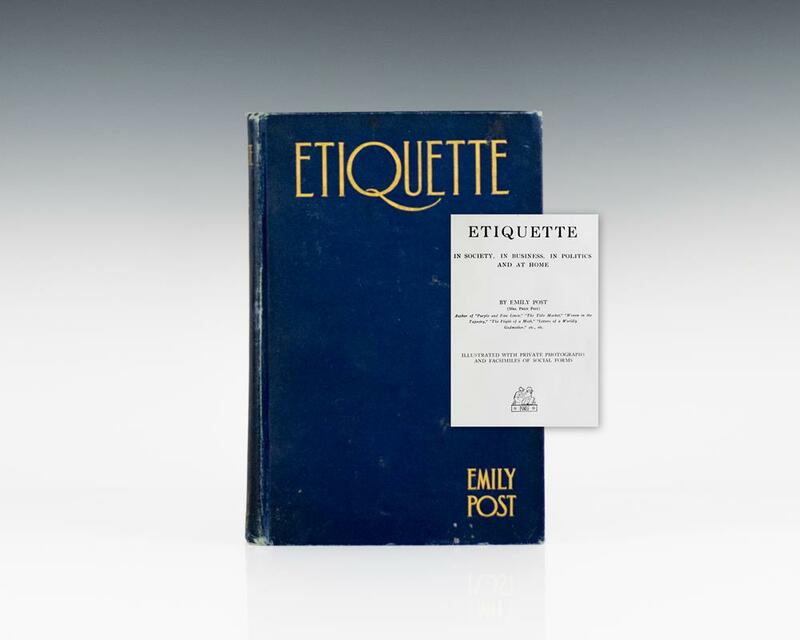 Etiquette: The Blue Book of Social Usage. New York: Funk & Wagnalls Company, 1935. Early printing of this seminal work in etiquette and personal relations. Octavo, original blue cloth. Presentation copy, lengthily inscribed by the author on the front free endpaper, “To William S. Howland – but it is impossible to express – even by using every direction between these covers – my appreciation of Mrs. Howland’s and his hospitality and kindness, Emily Post August 20 1935.” William Howland and his wife were close friends of Emily Post and Margaret Mitchell, the latter of whom he worked with at the Atlanta Journal before she published Gone With The Wind. In very good condition. Desirable with such a lengthy inscription from Post.